Wooden Stag Head Kit | Build Your Own Stag Head! Build your own stag head! Here's a dilemma: you want to decorate your home with an ornamental stag head, but you can't bring yourself to kill and decapitate an actual deer. You love 16th century Germanic interior decor, but you're not a big fan of bloodsports...so what to do? 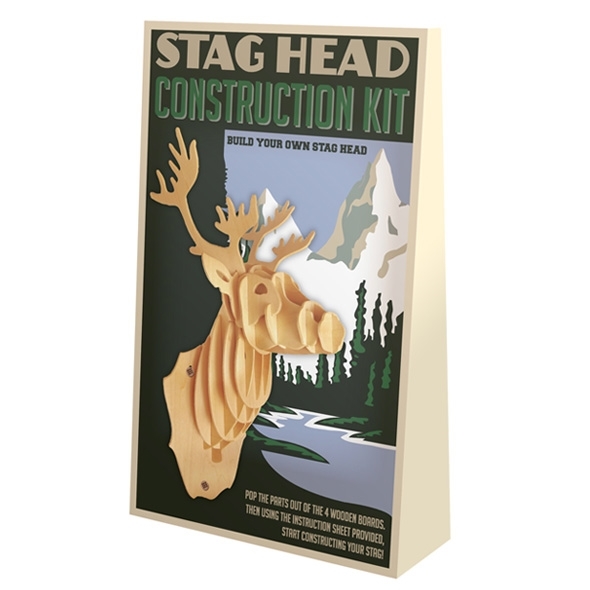 Answer: grab a Wooden Stag Head construction kit from Gadget Inspector and build you own! Making the stag head is easy - just pop out the parts and slot them together! 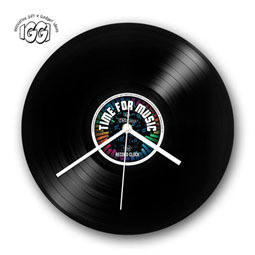 Pieces slot together - no glue or nails needed! 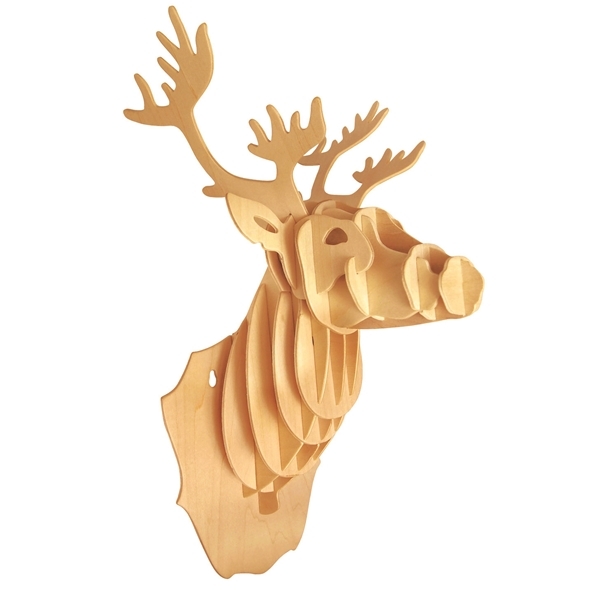 This wooden stag head is an animal-friendly take on the classic (albeit slightly macabre) wall mount. The best part, of course, is that you have to build it yourself - it's a fun activity AND a cool decoration for your bedroom, all in one! Where should I mount my stag head?